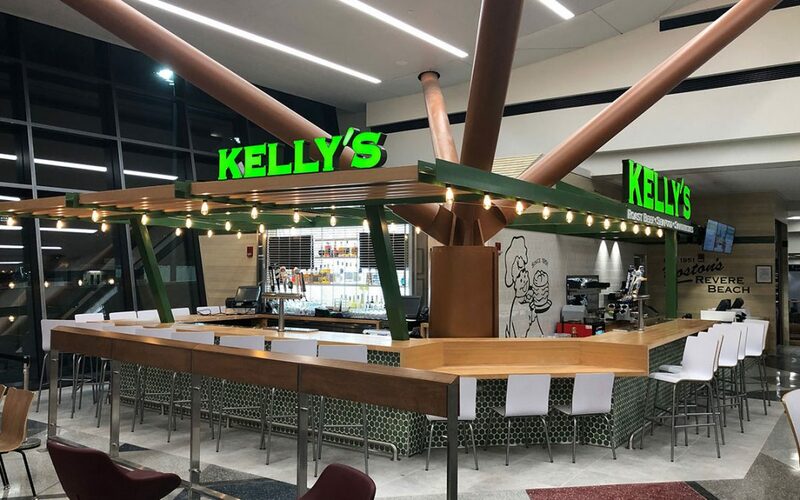 Restaurateur partners HMSHost and Master ConcessionAir have opened Kelly’s Roast Beef, a local favorite, in Terminal B at Boston Logan International Airport (BOS). Kelly’s Roast Beef, best known for creating the roast beef sandwich and a Boston staple since 1951, will be bringing a selection of their New England-local style menu to the airport that include their famous roast beef sandwiches and seafood platters. Kelly’s in the airport offers counter service, a grab-and-go station and a full-service bar.